The 12 Days of Indo Board – Day 7! This Gigante is quite a bit bigger than the IndoFLO cushion. 24 inches versus 14 inches in diameter. The Gigante cushion adds a very fluid movement and 360 degrees of instability (like you are on the water) under the board. The Gigante cushion is incredibly versatile due to the ability to easily change the amount of air in the cushion to completely change the range of instability you experience. There is no pump required as the Gigante cushion is mouth inflatable and take less than 5 seconds to change the inflation level. There are several ways of using the Gigante cushion. Wake Board, Wake and Wake Surfers like using the Gigante with the Indo Rocker deck to help them train. SUP riders and surfers enjoy using the Gigante under an Original Indo Board to help simulate the instability encountered when SUPping and Surfing. Indo Board Man even used an Original on top of the Gigante to train the late football great Junior Seau. You can choose to use one or two Gigante’s under your surfboard to help you simulate surfing or SUP! You can buy a single Gigante or grab the SUP pack which comes with 2 Gigantes to put under your SUP. Indo Board Man also uses the Gigante and a weight to train. 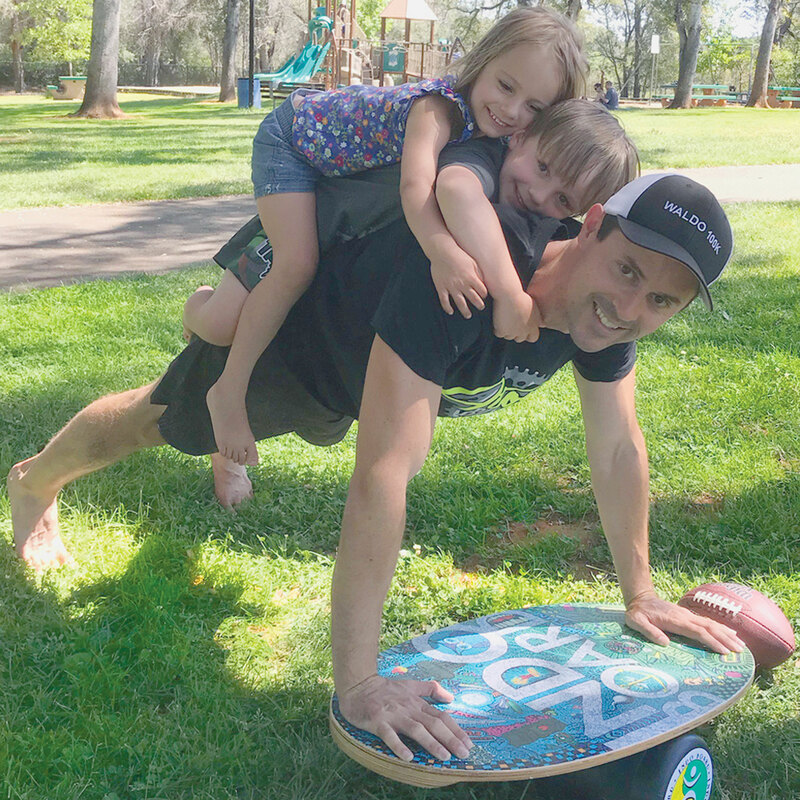 No Board required for this workout he and Suzie Cooney did. The Gigante cushion is one of the most versatile training aides! The 12 Days of Indo Board – Day 1! 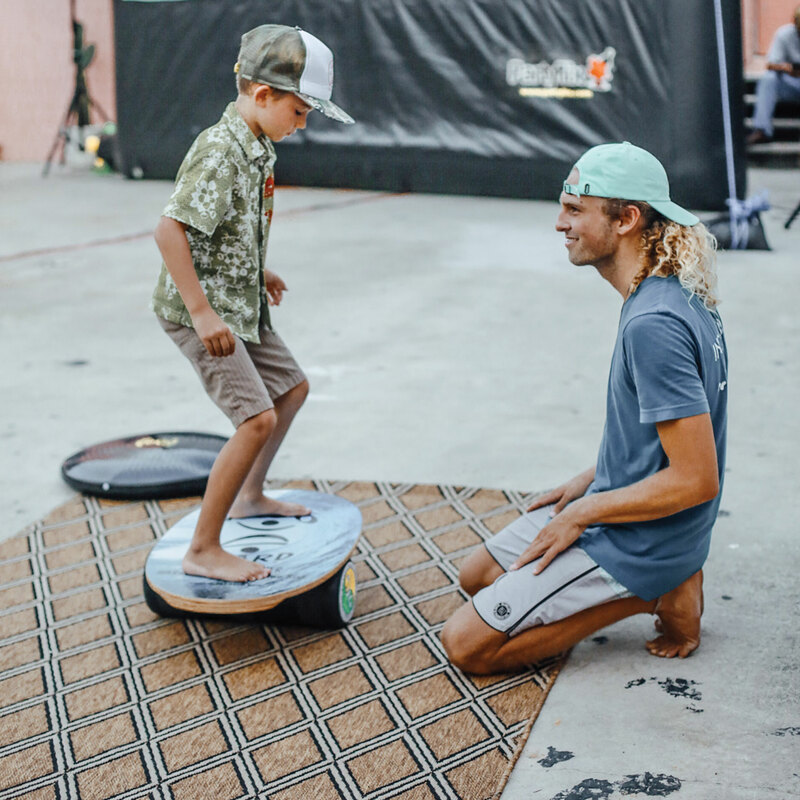 On the first day of Indo Board Indoboardman showcased the Indo Original Barefoot! 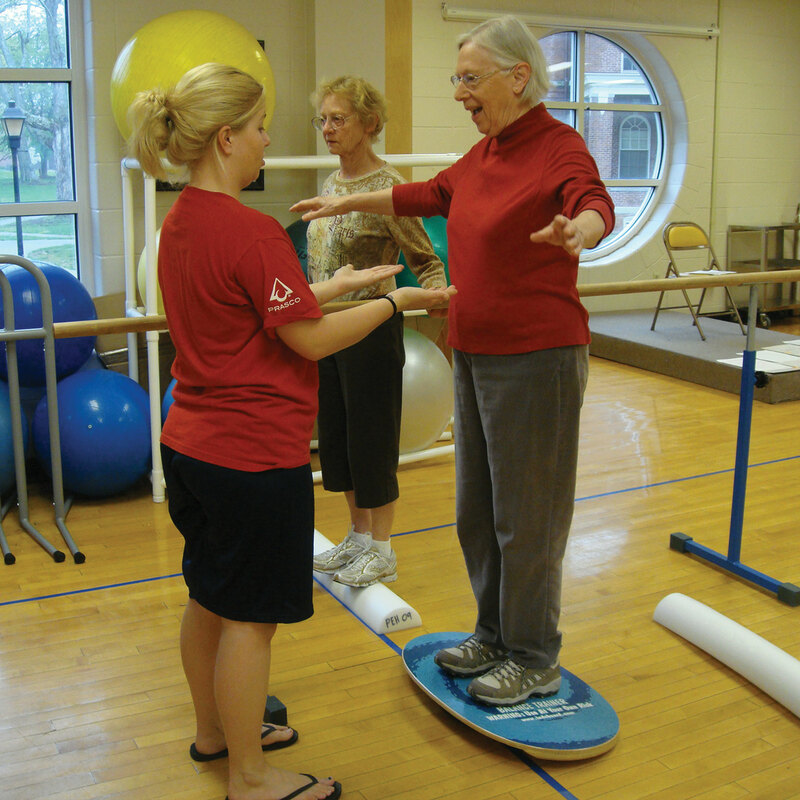 This Balance Board is on sale for 10% off! This design not only looks nice, it helps you with your stance while you are using the Indo Board. Check out this video of the Indoboardman, Hunter Joslin, explaining the marks on the board. Indo Board Team Rider Nicola Cerciello created this design to help you with proper foot placement. Here is a video of him explaining the design. Here is a video with Nicola demonstrating a workout you can do with the Indo Original Barefoot. Tomorrow I will profile another awesome Indo Board product!